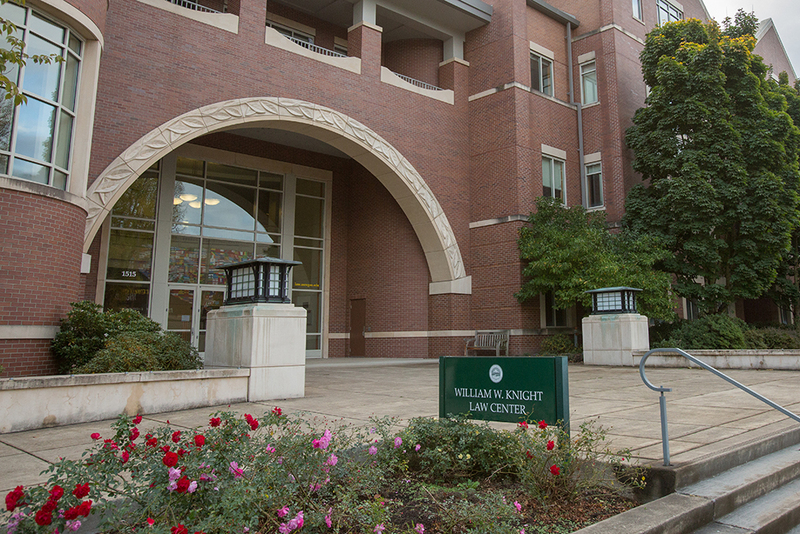 The University of Oregon School of Law again emerged as a top law school in the Pacific Northwest, according to rankings recently released by U.S. News and World Report. Oregon Law rose to 85 in the nation, up slightly from last year’s rank of 86. The school boasts three top-ranked specialty programs that are among the best in the nation: legal writing at No. 3, dispute resolution at No. 8 and environmental law at No. 11. Oregon Law’s overall ranking places it first in the state and second among law schools in the region. The school’s legal writing program is the top-ranked program in the Northwest. “We are honored that, in a highly competitive field, the University of Oregon School of Law is recognized among the nation’s best,” said Marcilynn Burke, dean and Frohnmayer Chair in Leadership and Law. In the fall, the law school welcomed Burke, adding to the school’s strengths in environmental law. The dean’s areas of expertise include environmental and natural resources, leadership and property law. In the coming academic year, the school will welcome a new faculty member in criminal law and anticipates launching several faculty searches that will anchor new areas of expertise and enhance existing strengths. In addition, the Master of Laws program at has been selected among the top 10 for alternative dispute resolution by LLM Guide. The full rankings are available at www.usnews.com/grad.